Clean air where you need it! 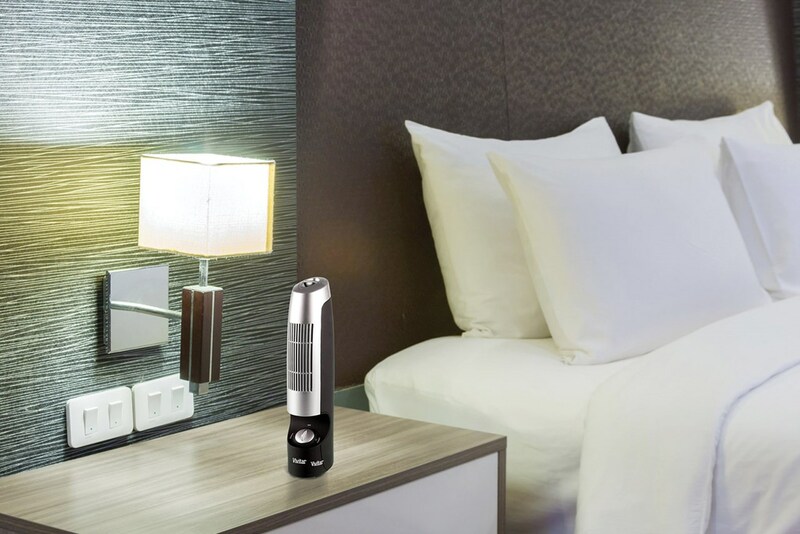 Space-saving Desktop Air Purifier is 12-inches tall and has an ultra quiet operation, utilizing efficient power saving even with continuous use. 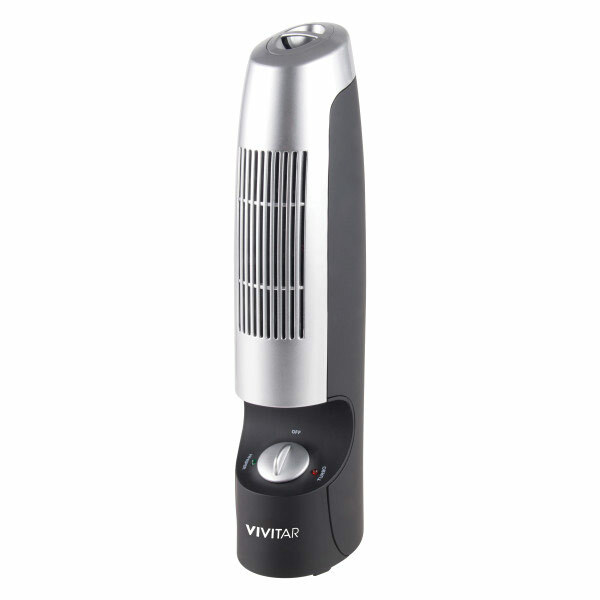 Whisper mode uses negative ions to trap pollution and contaminants while releasing clean, healthy air. Turbo mode eliminates strong odors quickly, using the built-in fan to increase air circulation. Built-in filter never needs to be replaced. Purifying air coverage up to 300 square feet. Ideal for any room in the house, bedroom or office. 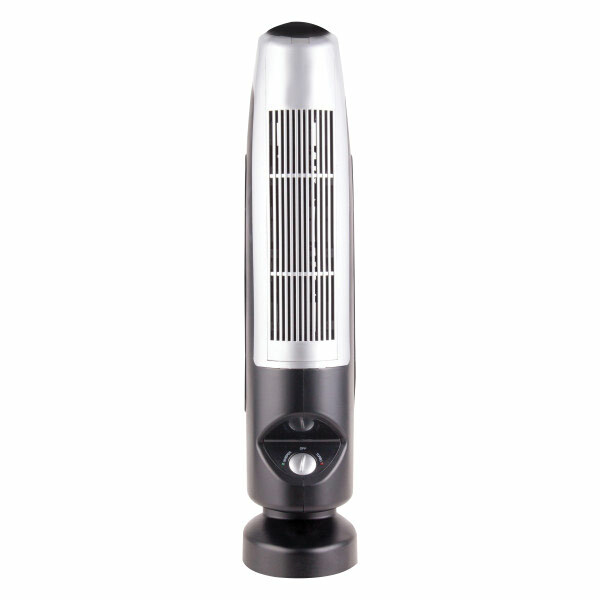 Package contains desktop air purifier, AC adapter, user manual and one year warranty.